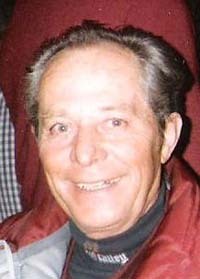 Andreas “Andy” Schernthanner passed away on Dec. 7, 2012, at his home, Round Mountain Ranch, in Ketchum, in the presence of loved ones. Andy was born on Jan. 15, 1929, in Rauris, Austria, the son of Theresia Moser of Wastl and Andreas Schernthanner of Penninghof, Austria. In 1952, Andy crossed the Atlantic on the RMS Queen Mary for his initial visit to the U.S. after living and working in several European countries. Shortly after docking in New York City, Andy went to Sugarloaf, Maine, to instruct skiing. It was there that he met ski enthusiast Alice Eaton, to whom he was married for 50 years. An avid outdoorsman and skier, Andy knew when he first came to Ketchum in 1957 that it was a place he could call home. His heart and soul had always been in the mountains, and when considering other places to live, he expressed that you wouldn’t find anywhere better than this to experience them. He enjoyed many pursuits in the wilderness: walking, camping, elk hunting, fishing and horseback riding among them. It was often said that he knew the local mountains like the back of his hand and traveled game trails so frequently they turned into the paths we follow in places like Adams Gulch. He was an institution with the Ketchum/Warm Springs Riding Club and could easily be found any summer Wednesday during the last 50 years on horseback. In the winter, he was a Sun Valley ski instructor for 40-plus years, taught his six children how to ski, set the race courses for the Kindercup for decades and supported the Sun Valley Ski Education Foundation. Andy was preceded in death by his wife, Alice, last July, and their daughter Kim in 1965. He is survived by six children, Heidi, Liesl, Pater, Monika, Britta and Andreas; their spouses; five grandchildren; and his sister, Zenzi, of Rauris, Austria. He will be missed by friends and relations both here and abroad. A funeral mass will be held at Our Lady of the Snows Catholic Church on Sun Valley Road, at 2 p.m. on Dec. 29. In lieu of flowers, a benevolent fund has been established at Bank of the West (725-0672) to be used to establish a memorial. Arrangements are under the care of Wood River Chapel. Friends are invited to share memories, leave condolences and light a candle at www.woodriverchapel.com.